Deutsche Lufthansa AG is the premium airline that offers its guests luxurious service, particularly in the first and business class. 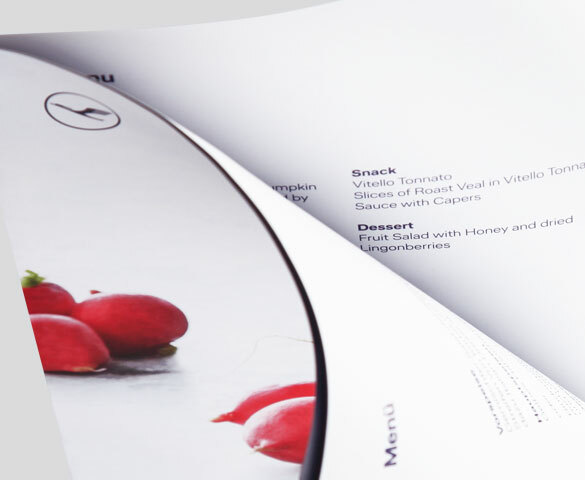 The choice and varied menus on board are a prime example of this service. 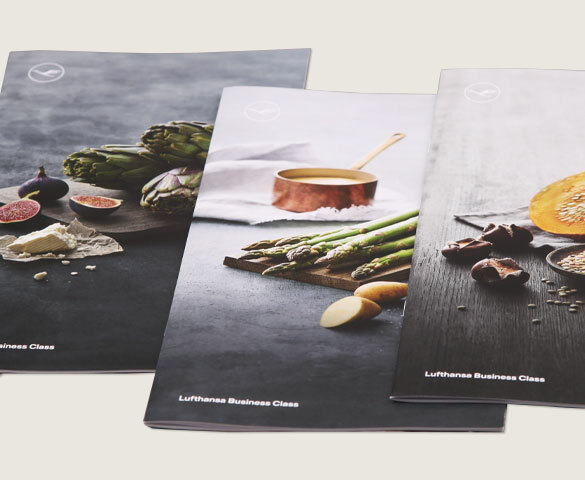 To communicate their culinary palette, Lufthansa uses menu cards that incorporate both an image and a marketing function. 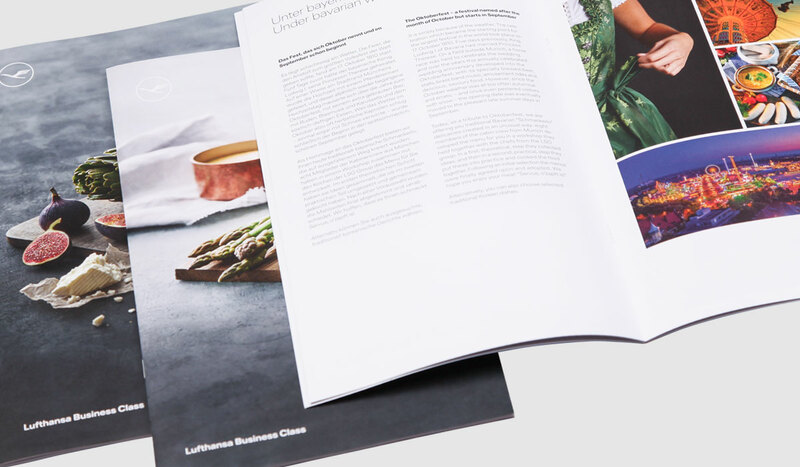 We have been creating the editorial design of the periodically published multilingual menu cards for the First and Business Class since 2007. 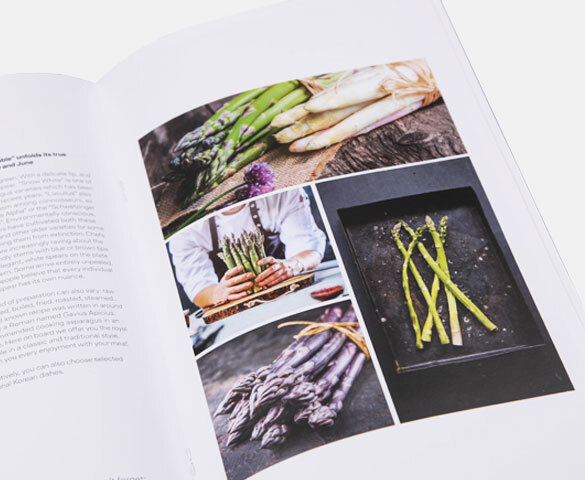 In addition, promotions, flyers for marketing cooperations and special menus for exclusive flights are developed by respublica – from the layout to the copywriting to the printable product. The agency of thinkers, dreamers and doers.